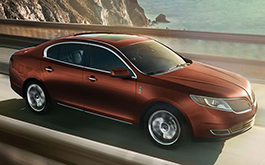 While it's being replaced by an all-new model next year, the 2016 Lincoln MKS in Grapevine stands out as an excellent option in the full-size luxury sedan segment. If you're in the market for a large passenger car with premium amenities and plenty of power, it's a solid choice. Test drive a 2016 Lincoln MKS in Dallas-Fort Worth for a chance to try out its 3.7-liter V6 engine, which comes mated to a six-speed automatic transmission. With the six-cylinder in tow, The Car Connection's 2016 Lincoln MKS review says the sedan is "a sleeper--a comfortable, competent, well-appointed sedan that's also quite quick and athletic." The car's engine pumps out 305 horsepower and 280 pound-feet of torque. EPA fuel economy estimates stand at 22 mpg combined (19 city/28 highway) with front-wheel drive; these numbers only dip slightly with AWD. An EcoBoost MKS model is also available and it gets a substantial boost in power with a twin-turbocharged 3.5-liter V6 that delivers 365 horsepower and 350 pound-feet of torque. Just like performance power, features are also above par. When you get in the driver's seat of a 2016 Lincoln MKS in Grapevine, Texas, amenities like Bluetooth phone/audio, satellite radio, heated and ventilated front seats, a rearview monitor and remote start will be at your command. 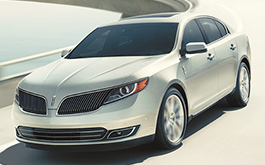 DFW Lincoln MKS shoppers can also choose from several package options, as well. Just a few examples include the Elite package, which comes with navigation, a front seat massager and blind-spot warning, among other features. Other notable packages include the Cold Weather and Technology equipment groups. The former is perfect for car shoppers who desire a heated steering wheel and heated rear seats; or if you're looking for optimized safety, the latter offers beneficial technologies like frontal collision warning, lane-keep assist, adaptive cruise control and automated parallel parking. Our 2016 Lincoln MKS review continues below. Continue reading to find additional vehicle specs as well as photos and video. Can the competition beat the LINCOLN? Is the LINCOLN Right for You? If you've ever thought about purchasing vehicles like the 2016 Acura TL, Hyundai Genesis and the Buick La Crosse in Grapevine, compare LINCOLN's new 2016 MKS first; we're positive that it's right for you. You'll be thankful for the MKS's long list of notable characteristics, including its inexpensive sticker price and state-of-the-art cabin features. Compare its price against the opposition and you'll certainly see that it's a truly amazing value, which makes it a top choice for many Grapevine LINCOLN customers. Find out more details about what it offers in our bullet list underneath this text! We know your next LINCOLN purchase is important; that's why we've provided the 2016 MKS review above, along with reviews of prior models. As the reputable LINCOLN dealership in Grapevine it is our duty to outfit our customers with reviews recorded by the top LINCOLN writers around. Filled with beneficial facts and specs, including cabin features and other info, each paragraph gives you full access to everything LINCOLN's lineup has to offer. 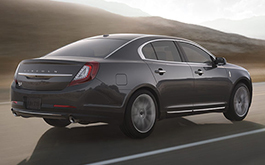 After viewing about the 2016 MKS, please fill out the form on the right to message Grapevine Lincoln to learn about deals from the OEM and lease offers.